Lightwork Teeth Whitening: Get 1 Basic Laser Teeth Whitening for $99 (reg. $120)! Whether you’re getting ready for that springtime photo shoot or you just want to feel more confident, check out Lightwork Teeth Whitening! Get one basic professional laser teeth whitening for $99 (reg. $120). 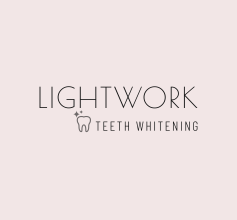 Call to set up an appointment today at (208) 520-6892 or email them at lightworkteeth@gmail.com. *Valid now through the end of April, 2019.